My mailbag was full after I wrote about the Zaishu Project on April 7th. With such a positive response, I had to get in touch with Zaishu directly for the full scoop on their flat pack benches, namely pricing, availability and shipping. Afterall, if you've taken an interest in going green, furniture that is easily dismantled is something that you should be looking for since you can recycle it in a snap. I don't suspect any of you would ever want to part with the lovely Zaishu though, it's a keeper! 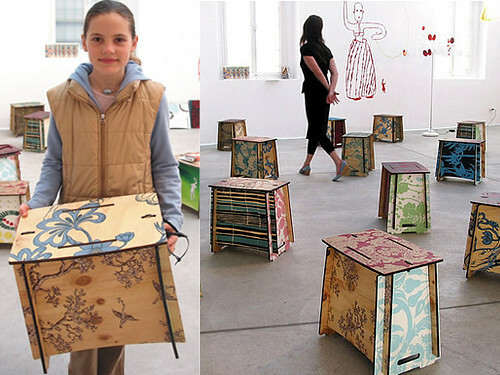 Zaishu is a slot together seat/table/box inspired by nomadic Japanese Samurai. They are printed on plantation grown native Australian hoop pine veneer. A Zaishu includes 5 of the prints shown below in random order. All prints change frequently since they are limited editions, so please act quickly if you like the pattern shown. 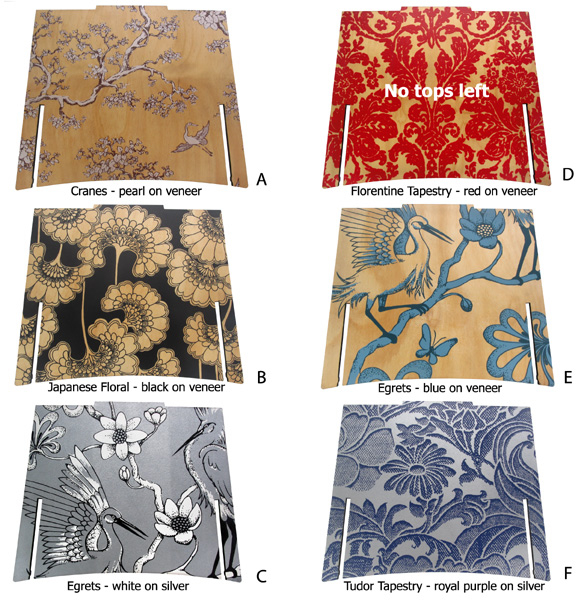 You can suggest any of the prints for the top pattern. The current April collection features designs from the library of Florence Broadhurst. Payment: Visa, Mastercard, Direct Deposit. Delivery Time: 7-10 days after payment. Ordering: Contact Zaishu directly to place an order. You can ask for Matt Butler.